This is .22LR CCI Troy Landry Choot Em! Special Edition Mini-Mag 36gr. Hollow Point Ammo. Shoot the same ammo as Troy Landry from the hit TV show, Swamp People. 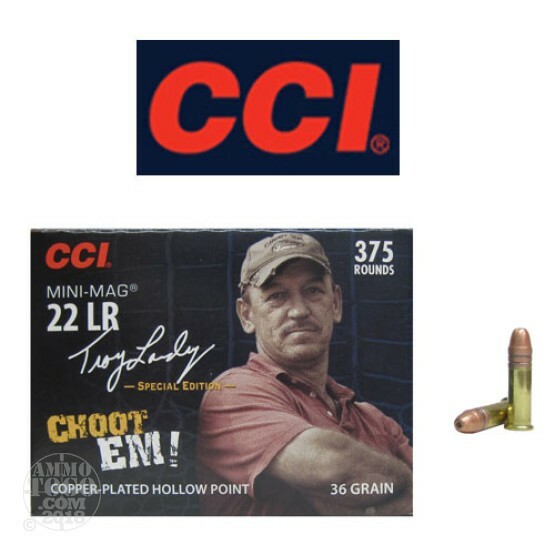 CCI is known for their quality .22 Long Rifle Ammo. This is the same round as the popular CCI 0031. This ammo has a muzzle velocity of 1260fps. and comes packed in a 375rd. box.